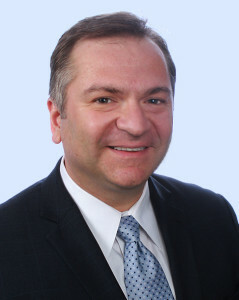 Stefan R. Stoyanov is the founder and managing member of the Firm. intellectual property due diligence and assessments of patent portfolios (including for M&A transactions, buy-outs, investment, valuations, and assessment of potential liability). Before starting Stoyanov Law, Mr. Stoyanov worked in the Intellectual Property Boutique Fish & Neave (merged with Ropes & Gray in 2004), and later in the Intellectual Property groups of the top national law firms King & Spalding (2004-2007) and Kasowitz, Benson, Torres & Friedman (2007-2014). Prior to attending law school Mr. Stoyanov developed a successful career as an engineer. He wrote software in various programming languages, and engineered hardware and software systems in the fields of robotics, automotive manufacturing, manufacturing process automation and materials handling, database management, data collection, semiconductor processing, networking and communications, business systems (EMS, ERP), and graphical user interfaces. U.S. District Court for the S.D.N.Y. U.S. District Court for the W.D.N.Y.